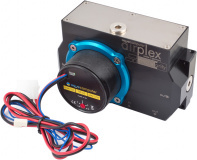 Pump module for the airplex modularity system radiator series. In order to modify an existing radiator (not included in delivery), the original terminal can be replaced by this pump module. Pump and reservoir are integrated into the pump module. Please note: The pump module is not compatible to radiators with two circuits! This product was added to our catalogue on Tuesday, 20. November 2012.